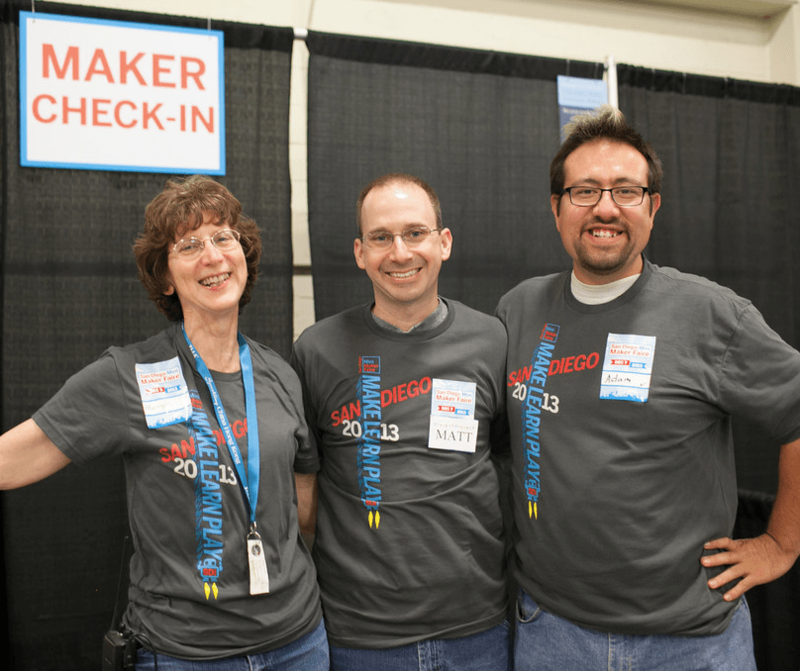 The First San Diego Mini Maker Faire Takes Off! “In cosmological terms, SDMMF was what is known as a big bang event for the maker community,” said Dan Hendricks of Open Source Maker Labs. 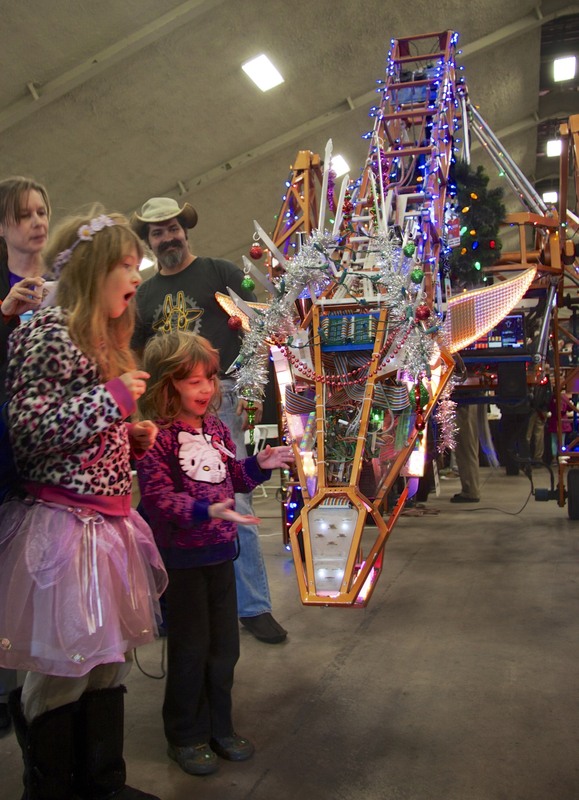 The inaugural San Diego Mini Maker Faire took place on Dec. 7. Our event was a tremendous success, not just for the number of visitors but also for the challenges that were conquered. Against the odds of staging a first-time event, against the misfortune of terrible weather, against the challenge of rewriting the game plan 48 hours before opening our doors, the makers of Southern California came together to build a world class mini maker faire. 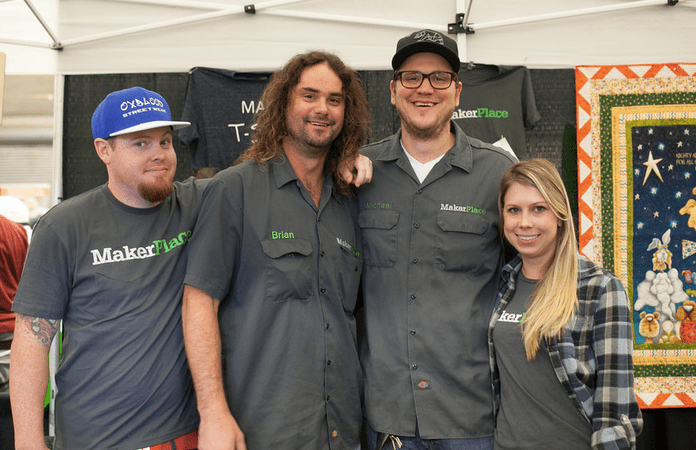 We started in early in 2013 with five people who shared the vision of staging San Diego’s first Maker Faire. To grow our team and increase awareness of Maker Faire we held five meetups around San Diego. Very deliberately we met in a variety of venues, on a variety of days, and at a variety of places around the county. Interest grew. Word of mouth started to happen. Soon our Meetup.com group had hundreds of members. We started with humble and uncertain ambitions. The core team chose the Del Mar Fairgrounds for our event space because fairgrounds event organizers make it easier to stage large events. We chose Bing Crosby Hall because if interest outgrew its capacity then we could expand to the outside parking lot. Using the metaphor of an accordion which can grow and shrink in size, we were looking for flexibility because we had no idea how San Diego would receive our event. Nothing worse than hosting a party in a large space and finding that nobody shows up! We started with no funding. Our first sponsor was a kindred spirit, Maker Place, a maker space on steroids. 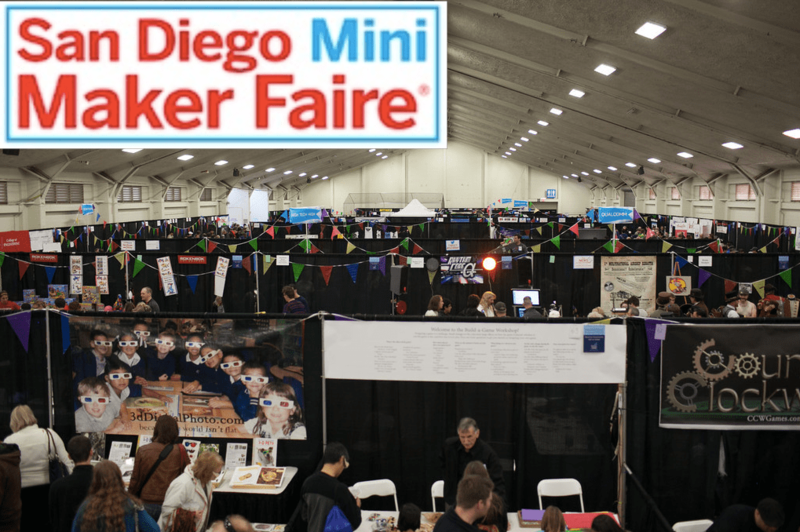 The University of San Diego understood Maker Faire’s potential benefit to their new engineering school and chose to empower all exhibitors by underwriting the power and wifi. 3D Robotics, a local success story with a loyal following, chose to help get us get off the ground. Our Premier Sponsor was Qualcomm which showed they valued the learning and innovation potential of making and they came on strong with funding, exhibitors, and support. Given all the bills that arrived before the ticketing revenue started to flow, sponsorship was critically important. Time passed. We put out the call for makers, who arrived first in a trickle, then in a flood as we began planning the venue. Our call for volunteers was quickly answered, so we started building our resource plans. We got serious about our space and solicited bids for equipment rental, got quotes for electrical, selected food concessioners, and added 40,000 square feet outdoors to our 30,000 square foot indoors because demand from exhibitors was so strong. Everything was progressing. Our team was maturing and we were approaching the day of event. Then disaster. 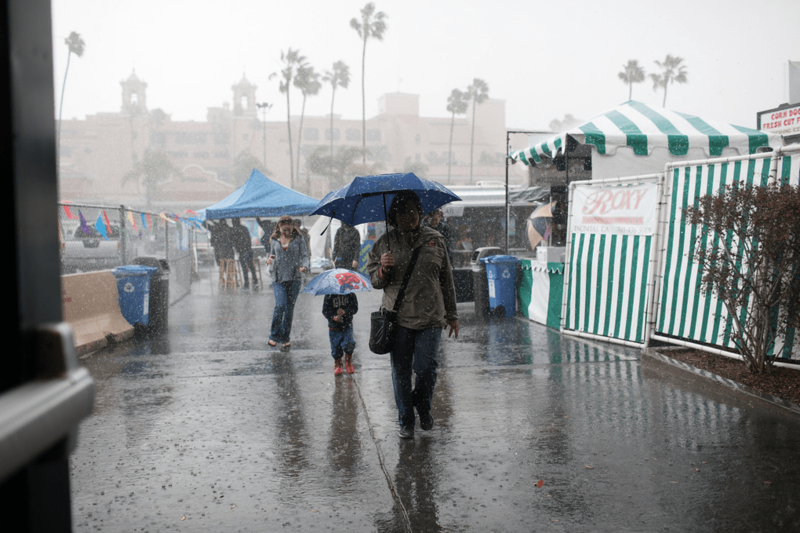 Normally sunny San Diego got wet. Zero percent chance of rain became 80 percent chance of rain. With only 48 hours till SDMMF opened, we decided to rewrite our plan. And the rain kept tumbling down. Revisiting our indoor venue we maximized space utilization and squeezed in 27 more booths. We got on the phone and contacted every outdoor exhibitor and either canceled them or remapped them indoors. We lost some amazing makers, but managed to squeeze 30 inside with a little doubling-up magic. Even our unofficial mascot the Electric Giraffe found a home inside. With hours to go we reworked the equipment rental, the exterior rental agreement, the electrical plan, and all our operating plans. Makers are amazing people. Within 24 hours we rewrote our entire plan. Yet everyone just took it in stride, gave it their all, and made it happen. So how did the event turn out? It was a smashing success! We had 257 volunteers making it happen and 5,200 attendees wandering the hall. All the while cold rain fell and wouldn’t quit. The aisles were crowded. Energy was high. Hundreds of Nerdy Derby races were run. We ran out of 350 Makey Robots by 3:00. Air Rockets flew bringing joy to many kids. Everyone seemed to be enjoying themselves wandering among the true stars of the show, our 123 maker-exhibitors. Margie, Matt and Adam of the Volunteer Corp.
By day’s end we were exhausted but elated by what we’d done. Something amazing had just happened in San Diego! We can hardly wait to do it all again next year.